HashBrowns…October 8-12, 2012 Go Play! This past week has been really busy at Small Potatoes. The Halloween Round-Up took a lot out of this girl. I feel like I’ve spent every waking hour working. All work and no play makes a mama cranky. As I was looking through my photos for today’s Hashbrowns, I came across this one from the summer. My boy was filling up the umbrella with the hose and then tipping it up over his head. He did this over and over again, laughing at himself each time. He was having fun. And a little fun is good for the soul. I think we forget sometimes, as grown-ups, to play…to let go of the day’s work and get our umbrellas out and pour cold hose water over our heads. “These things are fun and fun is good.” Wise words from the good doctor. I know you play everyday with your wee ones. But try playing without them sometimes. Play at what makes your mind flourish. Painting a picture? Climbing a tree? Scouting out the perfect photograph on a crisp fall morning adventure? Having your feet scrubbed and nails painted at the local spa? Spending a guilt-free 1/2 hour on Pinterest? Getting out of the house and grabbing an ice cream cone all to yourself? Seeing that movie you’ve been wanting to see? If you never did it you should. Now get outta here and go play. I love the umbrella idea! Yours or his?? LOVE! His expression is the best. There’s life in that expression there is. Precious! I’m seriously obsessed with you. Lol Love your posts, especially this one!! 🙂 Happy Weekend to you! Hehehehe! Thank you!! And I wish YOU a happy weekend also! Cheers! Great advice! Everyone needs a little fun in their life no matter how much responsibility they have. 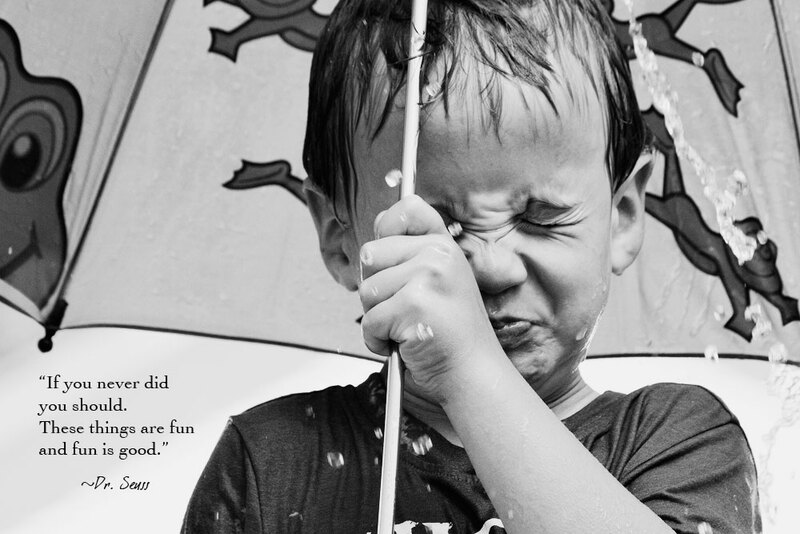 You are the only one who can define fun for you! (I’m really looking into grabbing that Icecream cone for myself right now, before the weather completely goes from beautiful fall to COLD winter.